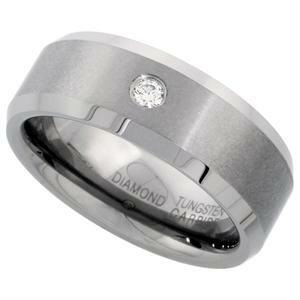 This tungsten men's wedding band is perfect for everyday use. It has a sleek look that only a Diamond can accomplish. This rings is scratch resistant.